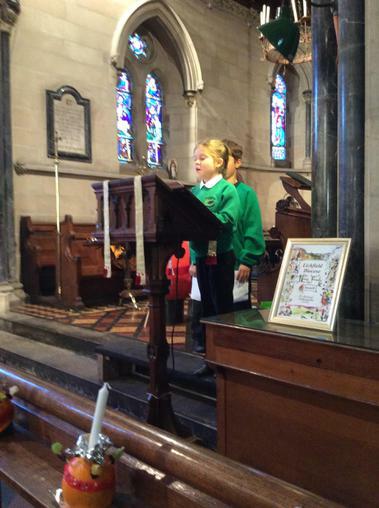 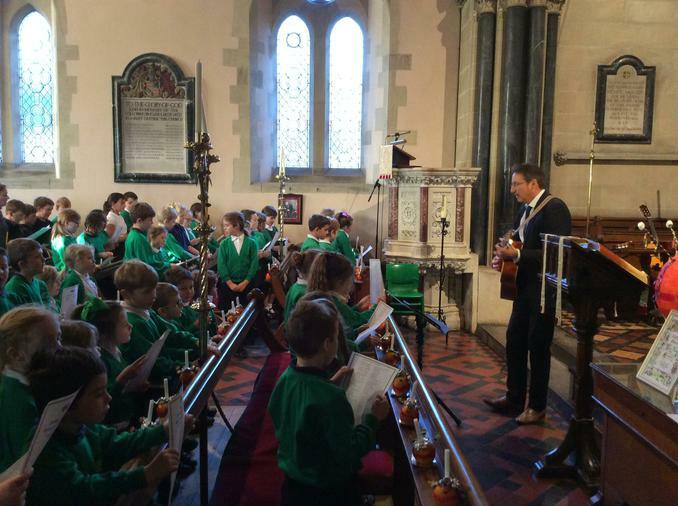 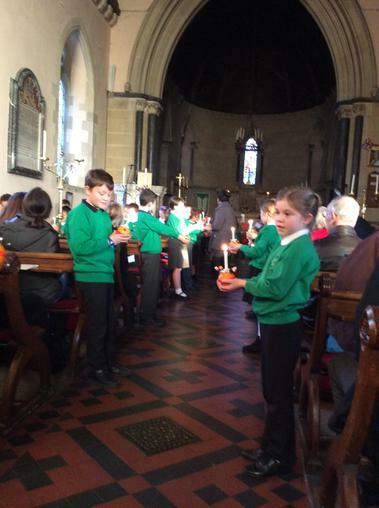 Today we celebrated Christingle with a lovely service in Welshampton Church. 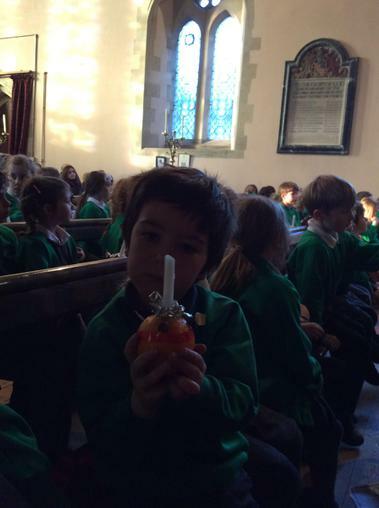 The children all had great fun making Christingle candles with Mrs Glo Wright, (our foundation governor and church warden), and lit them as part of the service. 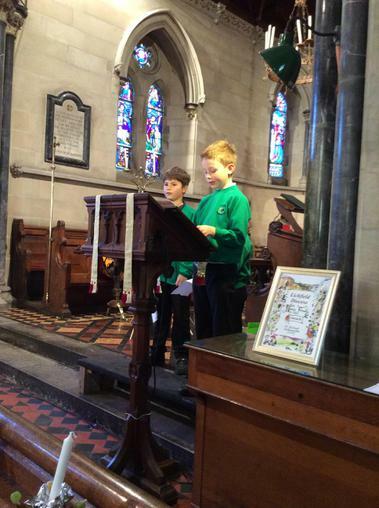 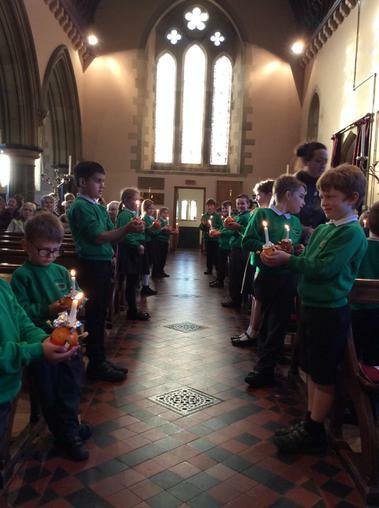 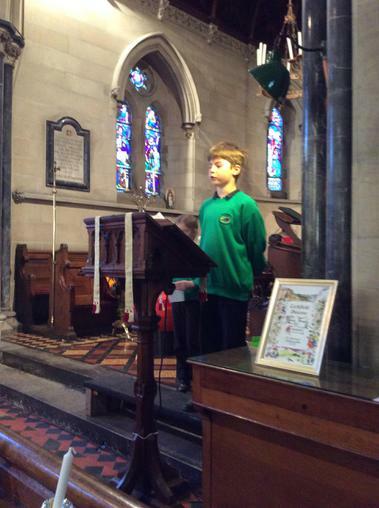 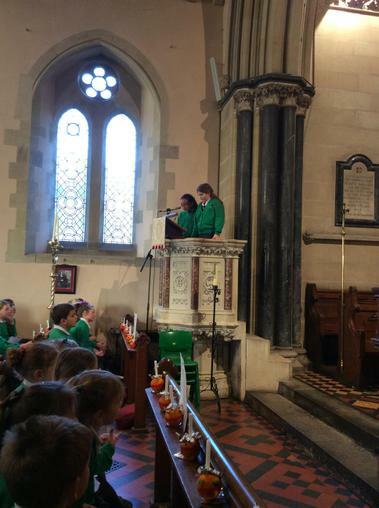 Year 5 children explained the symbolism of the Christingle and Class 2 children read some prayers. 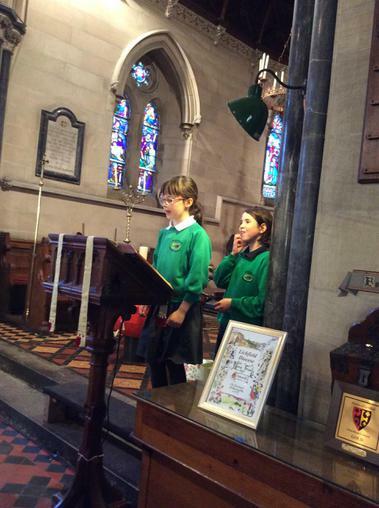 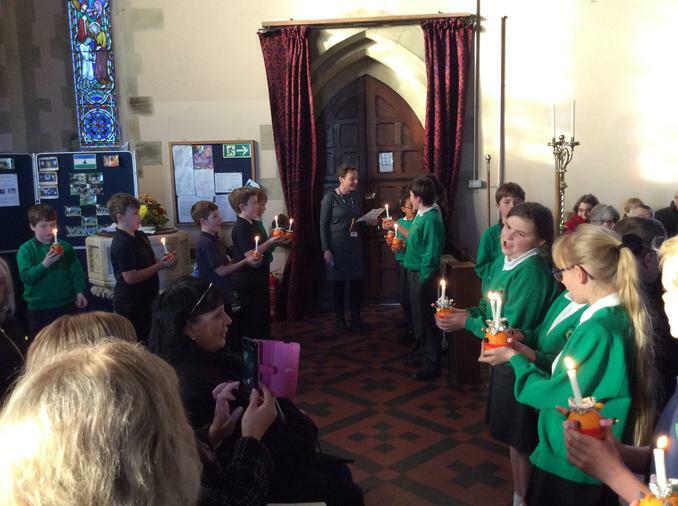 Three year 6 children accompanied the lighting of the Christingle candles. 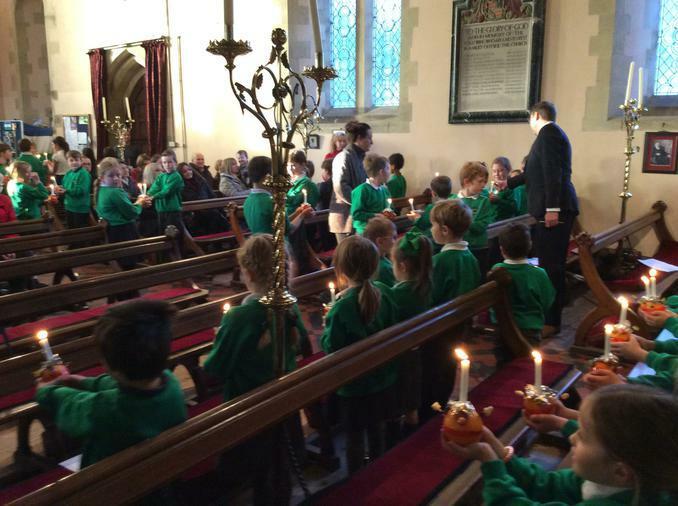 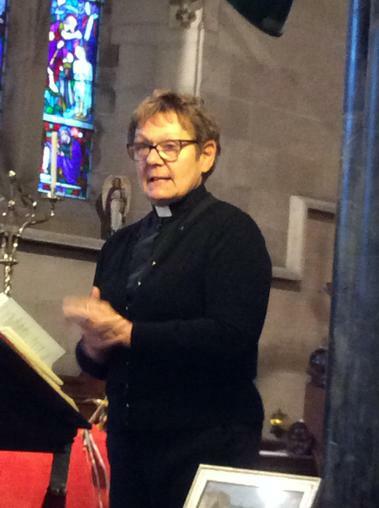 We also had the pleasure of Reverend Maureen giving her first Christingle blessing in Welshampton Church. 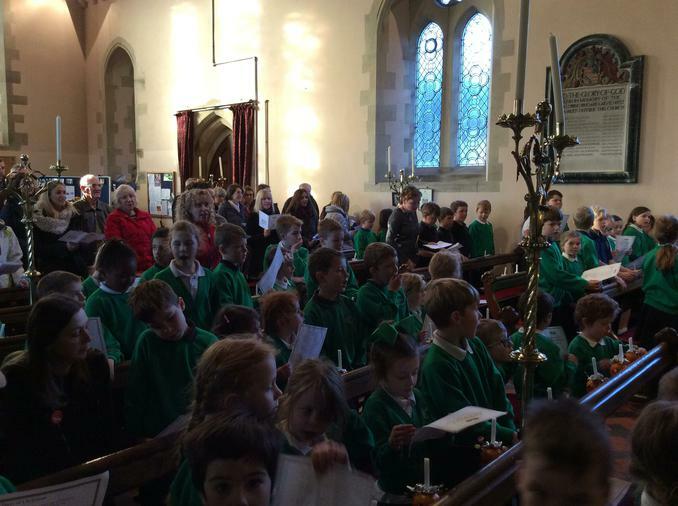 A joyful start to the festive season.